But quite popular in Europe where it competes with modes like the Ford C-Max and Renault Scenic. Of course, like most stretched cars these days, this is for the Chinese market. The blue car on top is the L model. While the red one is the 2018 model for Europe. With a slightly revised front end for 2018. Inside, things are pretty much the same as in the "regular" Euro Version. 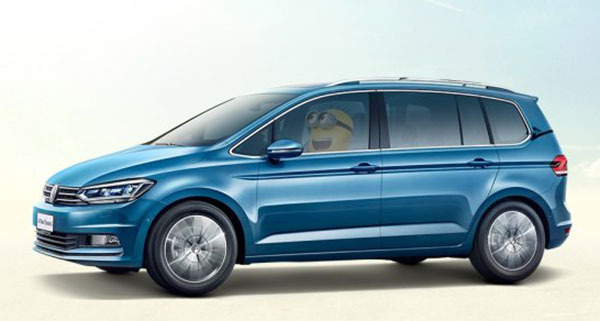 Isn't that just the same vehicle as the VW Touran (which basically is a longer 7 seat of the Sports Van)? In and outside? You are 100% current. This is a long version of the Touran, not Sportsvagon. Sorry fo rah mistake, I corrected the post.